Everyone loves hummus these days; the basic traditional recipe is delicious straight up. 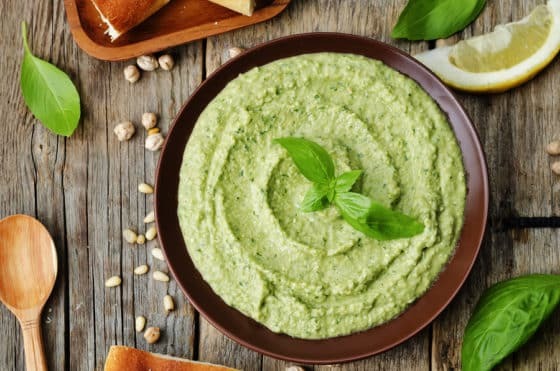 And it’s so useful, too, whether as a spread for fresh pita, a dip for fresh veggies, and as a spread for sandwiches and wraps. The flavored varieties of store-bought hummus are nice but they don’t go a long way, and honestly, one flavor tastes pretty much like another. Use this simple recipe for basic hummus (it’s more economical, too!) and then use the suggestions below to boost the flavor and eye appeal. Combine all the ingredients in a food processor. Process until smoothly pureed, then transfer to a serving bowl. Avocado, Cilantro, and Lime Hummus: (photo at top) To the basic hummus recipe, add 1/2 to 1 whole ripe avocado (pitted and peeled, of course) before processing. Add 1/4 to 1/2 cup cilantro leaves and juice of 1/2 to 1 lime, to taste, in place of the lemon juice. Add a clove or two of garlic (raw or lightly sautéed) if you’d like as well. 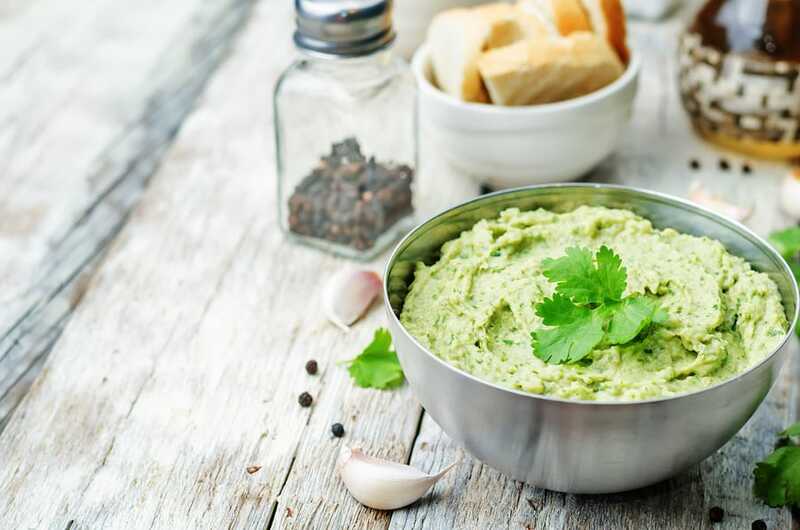 This is a nice cross between hummus and guacamole, so you can serve with bread or tortilla chips. 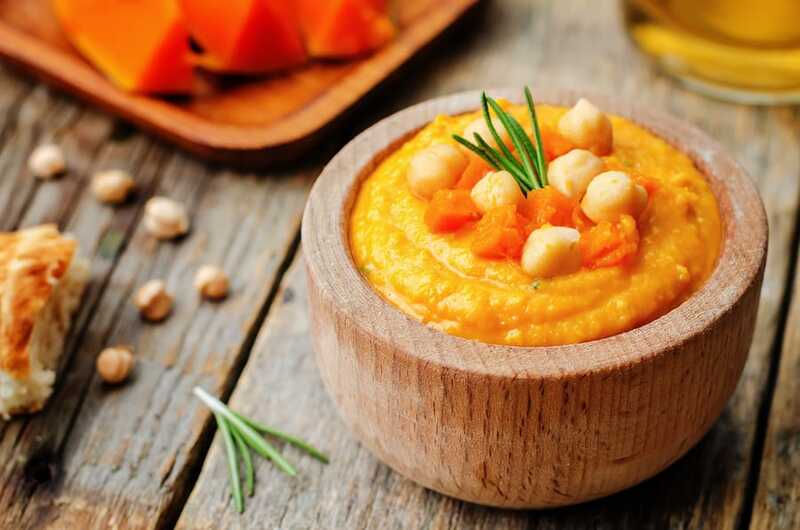 Pumpkin-Rosemary Hummus: To the basic hummus recipe, add 1/2 to 1 cup well-cooked or baked chunks of sugar pumpkin or butternut squash before processing. After processing, stir in chopped leaves from a sprig of rosemary, and use a sprig or two as garnish. 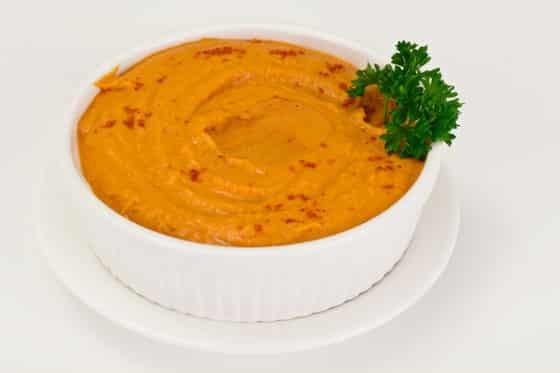 You can use 1/2 cup canned pumpkin puree (not pumpkin pie mix) in place of fresh. 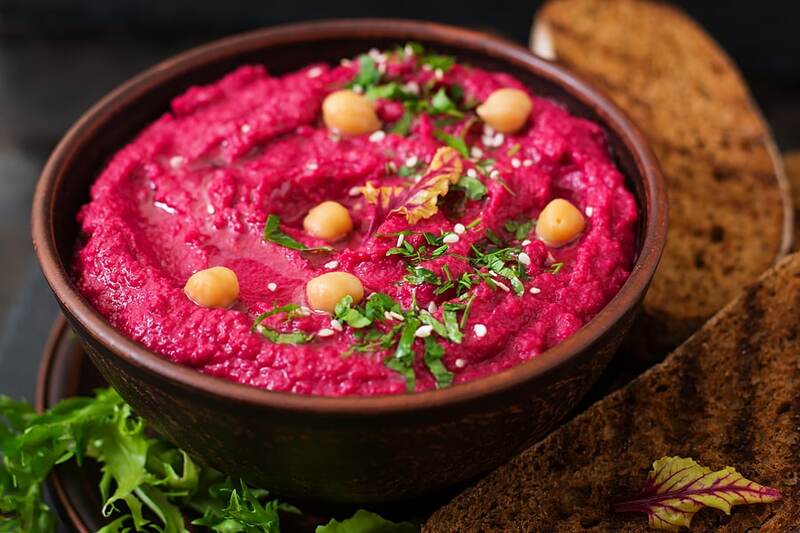 Beet Hummus: For this one, all you need to do is add a chopped cooked or roasted (peeled) medium beet before processing. A few pickled beets from a jar will do the trick as well. This one’s delicious on dark bread, though you can go the traditional route by serving on fresh pita, of course. Curry Turmeric Hummus: Add vivid color to your hummus with curry powder and turmeric. Start by adding 1 teaspoon of curry powder and 1/4 teaspoon of turmeric to the basic recipe before processing. Taste and see if you’d like more, then process again. Basil Pesto Hummus: This one melds hummus and pesto into one neat package. It’s more summery than the others, but with basil having become more of a year-round herb, you can make it any time. Depending on how much you like basil, add 1/2 to 1 cup to the basic recipe before processing. You can also dd a small amount of toasted pine nuts if you’d like, as well as a clove or two or raw or lightly sautéed garlic. Save a few basil leaves for garnish. This one is delicious spread on fresh baguette or bruschetta. Avocado hummus looks tasty and well-prepared. Seen a few avocado meals that were not very appealing on their looks.